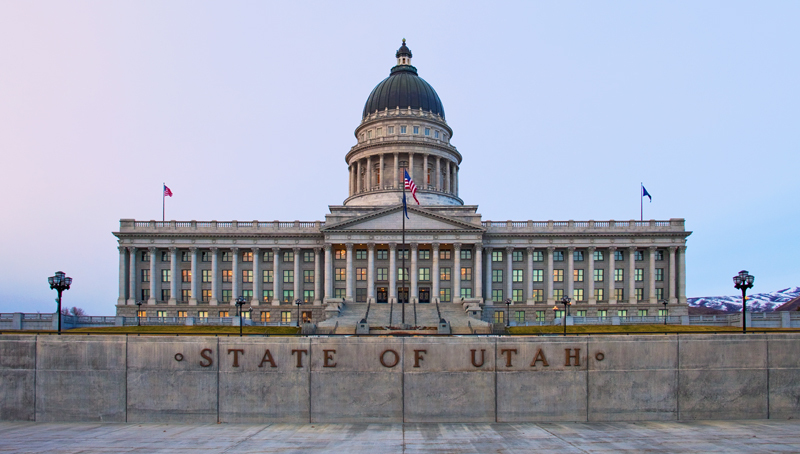 A new committee created by Utah’s lieutenant governor will look at what it will take to move the state to the point where it can hold elections online. Lt. Gov. Spencer Cox’s office announced the formation of the committee Tuesday. The group, which is officially named the iVote Advisory Committee, is made up of state legislators, election officials in the state and individuals who have a strong background in Internet security. “This is the beginning of just trying to understand electronic voting,” said Mark Thomas, director of elections for the state of Utah. Thomas explained that the committee will meet monthly from now until the end of the year to discuss all the aspects of online voting. The committee may make some recommendations to the legislature as to what may need to be updated in state code to allow for such voting to take place in the future. Thomas clarified that online voting may not come immediately, even with the formation of the committee. However, he stated the committee will potentially draw the map that will be followed by the state in the future to take elections online. Utah already allows for some ballots to be handled online, but it is limited to military officials who reside in the state and are assigned overseas. Online voting is also allowed for some disabled individuals in the state. Rep. Jon Cox, R-Ephraim, a member of the committee, said experts on electronic voting will be brought in to discuss with the committee what is currently being done throughout the world when it comes to online elections. He said the committee has already heard from one election official from Canada who oversaw an online election held in one province. Cox and Thomas both explained there are a number of hurdles that need to be crossed before Utah could host an online election. First would be how to create a process that allows for a ballot to be cast and kept confidential but provide a way for the election to be audited. Another hurdle would be how to protect the integrity of the vote count from hackers. “There’s some unique challenges there that could make this difficult,” Cox said. It is timely for Utah to look at options for hosting elections. The state’s current electronic voting machines are no longer manufactured, and it is expected the devices will be obsolete in the next decade. Voting online may be one option to replace those machines. Another option could be switching completely to a vote-by-mail option. To be sure, online voting is hugely controversial, and I expect the committee to get an earful from both sides of the issue – but this committee’s work, when combined with the efforts led by the Overseas Vote Foundation to do a thorough examination – is a huge learning opportunity for the field. My observation stands that we will get to online voting in this country someday – but the fight to define when “someday” is continues in Utah and elsewhere. Be the first to comment on "Utah Forms Committee to Study Online Voting"